Mego the legendary toy action figure company is back making new products. And this review is on Frankenstein, based on actor Boris Karloff. This is an 8" inch scale cloth action figure. 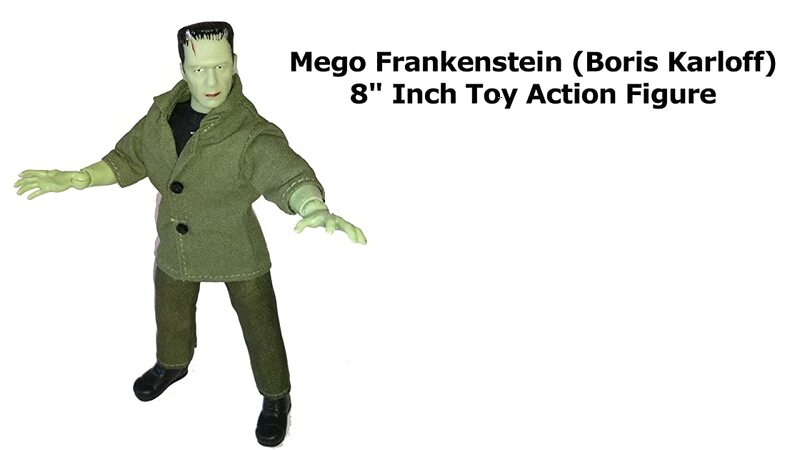 And this Frankenstein toy is fantastic. Well detailed and articulated. A fine addition to any collection.